you with our professional opinion. Most people will do anything they can to avoid seeing the inside of a courtroom, and there may be nothing more intimidating than the thought of going before a judge in court. This is completely understandable. For most people, going to court means something in life hasn’t worked out the way it was supposed to – a marriage has ended, an ex-spouse is refusing to pay child support, a family member is incapacitated and needs help, or a person has been criminally arrested or indicted. At such times, emotions can run high, anxieties and worries can keep you up at night, and the fear of facing a judge in a complicated and intimidating courtroom setting can make you want to give up your rights and interests in the hopes that it will all just go away. The good news, though, is that it doesn’t have to be this way, and help from the attorneys at Joyce A. Julian, P.A., to guide you through the legal challenges you face is just a phone call away. Contact our Fort Lauderdale divorce attorneys today. At Joyce A. Julian, P.A., our Fort Lauderdale family attorneys know exactly what kind of challenges and strains you are facing, and we have the compassion, experience, and knowledge to get you through your legal challenge and on to your best possible outcome. Founder and lead attorney Joyce Julian has over 30 years of experience working in the Florida courts as a judge, magistrate, and attorney working on behalf of private clients. In her six years as a Broward County Circuit Court judge, Joyce oversaw thousands of criminal and family law matters. In that time, she worked with all aspects of the court system – plaintiffs, defendants, prosecutors, law enforcement, investigators, Florida social service agencies, juries, witnesses, clerks, etc. – and she uses this experience and knowledge to fight for and protect her clients’ rights and interests in court. Ms. Julian is a Certified Mediator as well as a Certified Arbitrator. When a family deals with a family law matter, it is often the most sensitive and life-altering legal experience they will ever have. In addition to divorce issues, we represent clients and their families in all types of family law matters. Joyce oversaw thousands of family law matters during her years as a family court judge, and she will help you navigate the system and represent your interests. We help clients with matters relating to child custody, child support, adoption, paternity, prenuptial agreements, domestic violence issues, and Marchman Act issues (actions by family members to get help for individuals struggling with drug and alcohol addiction where treatment is refused). Whatever the change your family is going through, our attorneys are committed to easing the transition. We will work to ensure that the legal aspects of your family law matter are properly handled in order to minimize your stress and allow you to dedicate your energies to caring for your family’s emotional needs. Joyce has worked as both a judge, where she oversaw many family law cases, and as an attorney, and uses her experience on both sides of the courtroom to work for the best result for you and your family. Our Fort Lauderdale family law attorneys have over four decades of combined family law experience, and have the experience and dedication to ensure that your family law matters are handled with the utmost care. Divorce is not the only family law issue that many face, however. Family law is often an emotional area, but an attorney can guide and support you through any legal matter you have. Our lawyers handle all types of family law matters. Matters involving children, such as child custody, child support, adoption, and paternity issues, are especially sensitive. We know that you have your child’s best interests at heart, so we work to protect them both during and after your divorce, separation, or other legal matters have been resolved. Sometimes, the state acts to remove children from the home in dependency actions. We fight for the integrity of your family and to help you preserve your parental rights and keep your children in the family environment. Our attorneys are also experienced in drawing up prenuptial agreements and helping to modify or enforce agreements if necessary. Domestic violence is a criminal matter that can have serious civil repercussions as well. We aggressively represent the rights those dealing with such issues, both helping victims protect themselves and helping those accused of domestic violence to preserve their familial rights. For those dealing with family members’ substance abuse, we can use the Marchman Act to help them get the treatment they need when your loved ones refuse assistance. Divorces are notoriously stressful, and that stress can go on to affect many areas of your life, especially if you do not have experienced representation to ensure that the legal aspects are handled correctly. Our attorneys are dedicated to representing your best interests in this emotional time. We take time with our clients to discuss all the potential repercussions and outcomes of a divorce and work tirelessly to advocate for you throughout the process. We handle all aspects of divorce disputes, including property division, spousal support and alimony, child support, child custody (including timesharing and parenting plans), and modification and enforcement of support awards. As a former family court judge, Joyce understands what men and women are facing when entering into divorce proceedings and will put her skills to work for you. She also works to protect your children from unnecessary legal fallout resulting from a divorce or custody proceeding and to ensure that their best interests are represented in all cases. Contact our experienced Fort Lauderdale divorce attorneys today. Divorce can be devastating, and there is no need to add to your stress with worries about legal problems. An experienced Fort Lauderdale divorce attorney can answer any questions you have and can guide you through the process. Our attorneys can help with matters including property division, spousal support, child custody and child support, and modification of support awards. Old age and incapacity can create difficult situations with family and loved ones as they pass on or become unable to manage their own affairs. Planning for your own future can alleviate much of that stress and worry, both for yourself and for your children and family. If you have a loved one who has died or who has become unable to care for him or herself, our attorneys can work with you to ensure that the legal aspects of that person’s life and estate are properly managed. Probate and guardianship are both Florida legal processes by which a representative takes over the financial affairs of another. In probate, a personal representative assumes the responsibilities of a deceased person’s estate and administers the estate’s assets. In guardianship, a Florida court will appoint a legal guardian to assume the financial affairs of an incapacitated individual. In both types of case, advance planning can prove invaluable in preserving goodwill and stability in a family. But if an unexpected event occurs, or if your loved ones have not been able to create an end-of-life plan, our attorneys can help you smooth the transition and maintain good familial relationships. Our attorneys have decades of experience working with probate and guardianship matters, and we can you help you and your family with any and all steps in either process. Everyone should prepare for end-of-life issues, including both death and the possibility of incapacity. Guardianship and probate law deals with handling a person’s assets and life decisions when dealing with disability and death. Guardianship matters arise when a loved one is adjudicated incapacitated, whether regarding personal or financial affairs, or both. The person or institution who serves as the incapacitated ward’s guardian has serious fiduciary responsibilities and must be represented by a Fort Lauderdale guardianship attorney. The probate process is the process by which a decedent’s assets pass to his or her beneficiaries. The personal representative, or executor, of the decedent’s estate pays off all creditors and then distributes the assets to those designated in the decedent’s will, or, if there is no will, according to Florida’s rules of intestacy. If you have been designated a personal representative, our attorneys can guide you through the process and ensure that it is completed correctly. Being the subject of a criminal investigation or prosecution can be frightening. The criminal justice system is complex and confusing to many people, and without the guidance of an experienced defense attorney, it can be easy to lose your way and suffer unnecessary penalties and consequences. A dedicated attorney, however, is familiar with the rules of the Florida criminal courts and justice system, and can ensure that your rights are not violated and you are not wrongly convicted. Joyce Julian, with her years of experience as both a judge and a criminal defense attorney, understands the workings of the criminal justice system and how to competently and effectively defend your rights. Our attorneys have successfully defended clients in a wide variety of cases. We represent clients across the spectrum of criminal defense matters, from DUI and drug crimes to theft, fraud, and violent crimes, and everything in between. We also work with white-collar criminal defendants under investigation for securities fraud, corruption, mortgage fraud and other matters. As a former criminal court judge, Joyce understands the inner workings of the criminal law system and will fight for your freedom and rights. If criminal charges have been brought against you, it is essential to have a Fort Lauderdale criminal defense attorney to represent you. Criminal penalties can be life-altering. Facing the criminal justice system alone is confusing, and trying to do so without an experienced attorney’s advice can have disastrous consequences. Our attorneys represent those accused of a wide variety of crimes, from theft, fraud, and money laundering to violent crimes, DUIs, drug crimes, and domestic violence. Our attorneys can work to get your charges reduced or dropped, and can ensure that your rights are protected to the maximum extent of the law. 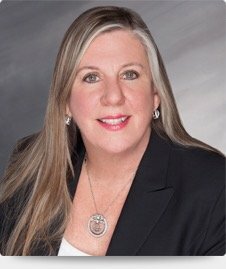 With a Master’s Degree in Forensic Accounting, Ms. Julian is able to offer a higher level of service to her clients, whether dealing with a complex, high-asset divorce and property division, or defending a client charged with violation of complicated and highly-technical criminal financial statutes. We know that most of our clients dealing with the above issues do not regularly visit court or deal with legal issues (and may not ever have expected to do so), and so we understand that the thought of facing a judge, opposing party, or prosecutor raises all kinds of emotional and financial stresses. But you don’t have to do it alone, and the legal team at Joyce A. Julian, P.A., will guide your path through the court system and do everything we can to make the process as painless as possible and get your life back to normal. Call the Fort Lauderdale family and divorce attorneys at Joyce A. Julian, P.A., today at 954-467-6656 to schedule your free consultation.